Steven Moffat is leaving Doctor Who. I can’t--and don’t want to--deny that I’ve been looking forward to this day for a while. It would be one thing if Moffat were merely making a show I didn’t like, but he’s gone so far out of his way to undo the things I liked about Russell T. Davies’ show that it’s hard for me to take a live-and-let-live approach. I do not like Moffat’s Doctor Who. I’m glad he’s leaving. I’m looking forward to seeing what Chris Chibnall does with the thing. That said, I try not to be relentlessly negative, when it comes to stories. Nearly every story is loved by someone. Nearly every story has something in it I can love. I would much prefer to find the one thing I love about a show than list everything I hate. Obviously, I don’t mind giving criticism--that’s kind of the point of this blog--but I want my criticism to come from a place of affection, from a love of stories in general and this story in particular. I want my criticism to be driven by a desire to fortify the positive potential of a story, rather than to tear anything down. That’s why I eventually stopped watching Doctor Who. I was starting to root for it to fail, and that’s not fun, or informative, or constructive. But now, with Moffat’s tenure coming to an end, I find myself wanting to see what good I can find in his years. 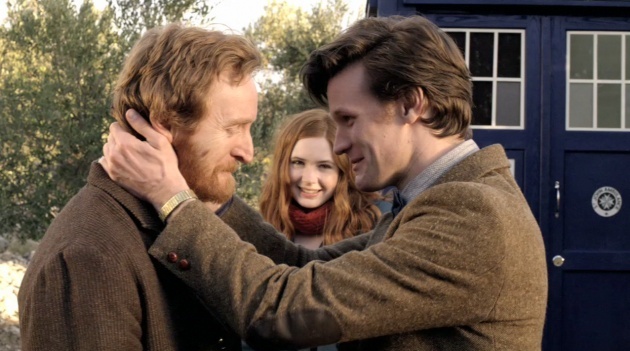 Moffat’s Who is built on the shoulders of--and sometimes in the ruins of--a show I love like few others. Surely, in all of that, there’s a thing or two I’d rather keep than forget. Surely, there’s something I can love. So, against all odds, this is a post to express my gratitude.